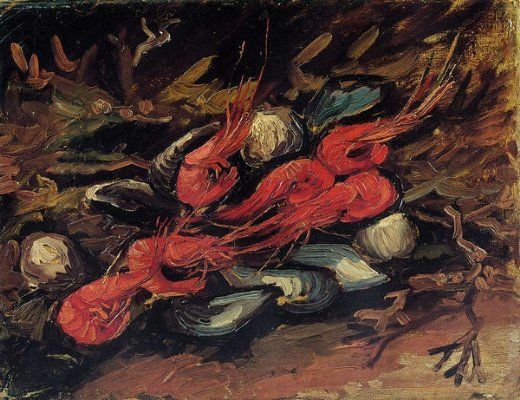 Still Life with Shrimp, by Vincent Van Gogh. Every Christmas Eve I try to cook one new fish dish, one I create just for that evening. I like it to have a contemporary feel while incorporating flavors from my childhood. On that special night, big shrimp were always present on our family table, usually in some configuration involving a fair amount of garlic. That’s a good memory. I love shrimp. I also happen to think chickpeas and shrimp make a great combination, and since lately I’ve been having a little love affair with star anise, I decided to bring these three ingredients together. 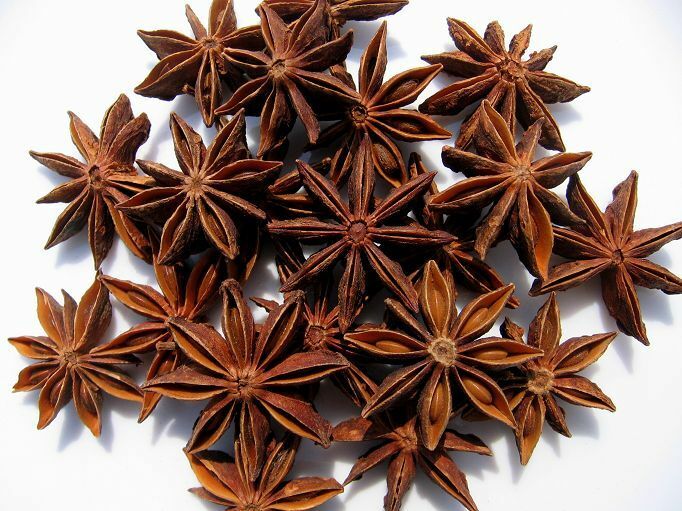 Star anise is a spice of much physical and aromatic beauty, well worth getting to know. It’s amazing as a flavoring for poached pears, and also for chicken, as I’ve recently discovered (a cook’s education is never done). Falling into the anise-and-fennel category, it’s a natural for just about any type of seafood, especially, to my palate, shell fish. Use whole stars for a saucy dish like this, or grind a little to use as a rub. I understand that Christmas Eve dinner is etched in stone for many Italians. Not a dish can be missing; everything must be prepared exactly the same year after year. I’m not like that. I change things, and I also find that I prepare fewer dishes as time goes by. (Not seven anymore, that’s for certain. Maybe three.) That’s why I like this shrimp and chickpea combo. It’s a piatto unico, but one with tons of elegance, and to my culinary memory, anise (I believe I’m thinking Sambuca here) and rosemary (pine needles?) are both aromas of Christmases past. I think the perfect accompaniment to this rich, saucy dish is couscous, seasoned maybe with a little butter, a pinch of sugar, and fennely or anisey herbs such as basil and a small amount of tarragon or chervil. Drizzle a little olive oil into a saucepan, and get it hot over medium heat. Add the shrimp shells, and sauté them until they turn pink. Add the splash of Sambuca, and let it boil away. Add a little salt and black pepper, and cover the shells with water. Boil until it’s reduced to about ½ cup or so. Strain it into a small cup. Place the shrimp in a large bowl. Sprinkle with salt, black pepper, Aleppo (or another medium spicy dried chili), a little sugar, and about half of the chopped rosemary. Drizzle on a thread of olive oil, and toss the shrimp well so all the seasoning is dispersed. In a skillet large enough to hold the shrimp and chickpeas, heat about 2 tablespoons of olive oil over medium heat. Add the carrot, shallot, celery, the remaining rosemary, and the star anise. Sauté until the vegetables are soft, about 4 minutes. Add the garlic and the chick peas, season with a little salt and black pepper, and sauté to blend all the flavors, about 2 minutes. Add the tomatoes and the shrimp broth, turn the heat to high, and let the sauce bubble, uncovered, for about 6 or 7 minutes. Turn off the heat. In another large skillet, heat about 2 tablespoons of olive oil over high heat. When hot, add the shrimp, and sear them on one side. Flip them, and sear the other side. This should take only about 2 minutes. Add the shrimp to the tomato chickpea sauce. Deglaze the skillet with a splash of hot water, and add that to the sauce. Let the shrimp sit in the hot sauce for a minute to finish cooking. Taste for seasoning, and then transfer everything into a large serving bowl. Garnish with the parsley leaves. Best served right away. 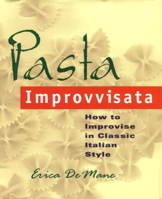 are you making this for Christmas?Sounds great.I will make sicilian cookies this year and special-x-tra special meringues for Deborah.Any other suggestiones? Growing up in South Philly, I had a lot of Italian friends. Our favorite Xmas tradition was stealing anisette and getting loaded while eating those wonderful, waffly cookies that Italians always have around for the holidays. I think they’re called “pizzelles?” Something like that. They taste like anisette…licorice-ish? if that’s a word? Used to to throw a couple star anise into my homemade pizza sauce…just enough to give it a subtle tinge…then fish them out when the sauce was cooked. Have to be careful with the stuff: even a little too much overwhelms. I’ve seen it in liquid form…distilled flavoring. One drop is over-the-top…like that liquid smoke crap that’s (over)used in BBQ sauce. Loved the Van Gogh, BTW! I’ve been watching David Rocco’s “Dolce Vita” cookery series on U.K. t.v. I enjoy his programme’s settings and the glimpses of the Italian countryside that it offers – and the images of central Florence (which I know well), the cafe-bar culture in that great civilised city, and the ‘shots’ of David and his wife and babies sitting on a bridge over the River Arno with a view of the Ponte Vecchio in the background – I wish I had a $dollar for every time I’ve walked over the Ponte Vecchio on my way to the Pitti Palace and a very nice Italian restaurant opposite the entrance to that wonderful building. In David’s presentations he claims that Italians (maybe Tuscans only ?) like to cook – at Christmas – stuffed Calamari and Octopus cooked in tomato sauce. 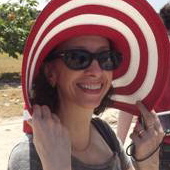 Do you know of this custom, Erica ? Why aren’t you presenting your own t.v. 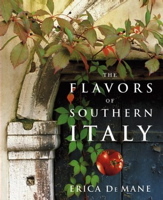 cookery series featuring the flavours and cuisine of Southern Italy ? You’d be excellent. Something for your many fans to look forward to. (Our mate Mike Sadowski could be your sous-chef !). You flatter me. It’s not all that easy to get a TV series and just possibly I’m a bit scared of the exposure (it’s not for everyone). I’m just starting to put together a few videos, which should be up on my blog soon. So I’ll see how that goes. My mother often made stuffed calamari for Vigilia-Christmas Eve, but she wouldn’t touch an octopus with a ten foot pole–way too rustico for her, being the swanky New York she was (and still is). I make it though. I’ll be putting up a salt cod recipe soon, another classic Italian Christmas eve fish dish. When I lived and worked in Sweden in the mid 1980s (I was there for three years) there was (and still is) a Christmas dish which is virtually mandatory for everyone to eat. It is a dish comprising of dried Cod (stiff as a plank of wood which is reconstituted in boiling water for ages (to get rid of the alkaline preservative) and is called Lutfisk. It is absolutely tasteless – excepting for the mustard sauce which is usually served with it. Every self respecting Swede just has to get some in for Christmas even though they concede that it is a foul dish and tasteless. But, tradition is tradition and the Swedish nation’s cultural survival apparently depends upon your eating Lutfisk. I look forward to the possibility of veiwing your future videos. I still think there is a niche market for your Southern Italy cuisine to be broadcast on t.v., though.